She's so lucky they found her. This little seal has had a bizarre string of adventures since she last saw her ocean home - but now she's finally back where she belongs, thanks to a curious group of cows. Celebration the seal pup was just a few days old when she became separated from her mother back in July. Surprisingly, it wasn't humans who found her. Celebration wound up stuck in the mud in the U.K.'s Frampton Marsh nature reserve, where a herd of 30 cows found her and gathered around to investigate the strange new arrival. Ian Ellis was bird-watching when he spotted the unusual grouping of cows. He pulled out his telescope to take a close look - and was shocked to see a seal pup in the middle of the curious bovines. Rescuers quickly arrived on the scene and, when it became clear her mother was nowhere to be found, they took the little pup in for care. She was underweight and dehydrated, and soon developed a lung infection. 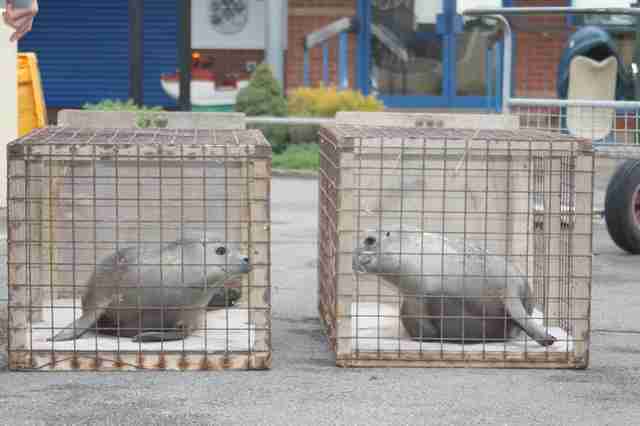 But she found a temporary home at Skegness Natureland Seal Sanctuary, which helped to raise her and provided medical care for her infection. 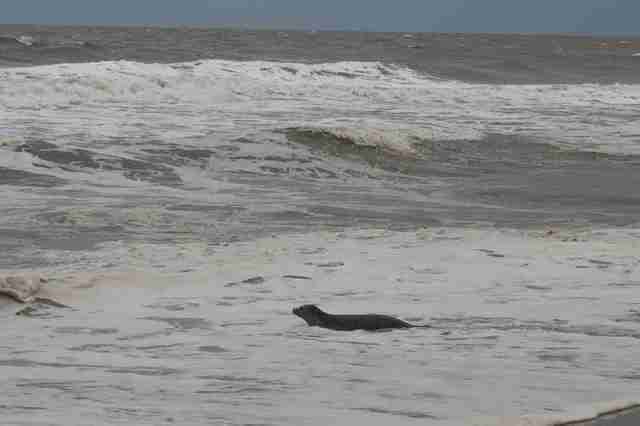 She also found a friend in a seal named Charlie who came in around the same time she did. 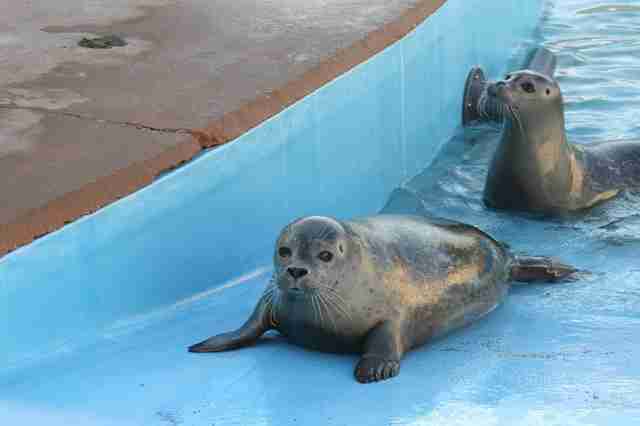 Since then, Celebration has been focusing on the one job a young seal pup has: eating as much as possible. This week, Natureland decided she and Charlie had finally put on enough weight to return home. On Tuesday, Ellis and the team from Natureland brought Celebration back to the ocean, which she hadn't seen since she was a tiny pup. But as soon as the doors to their cages were raised, she and Charlie immediately began to waddle back to the waves that they call home. A photo taken shortly after the release shows Celebration staring out at the ocean as she prepares to dive in, finally back where she belongs. All thanks to a birdwatcher and some very puzzled cows. If you'd like to help Natureland care for orphans like Celebration, you can adopt a resident or make a donation through the sanctuary's website.